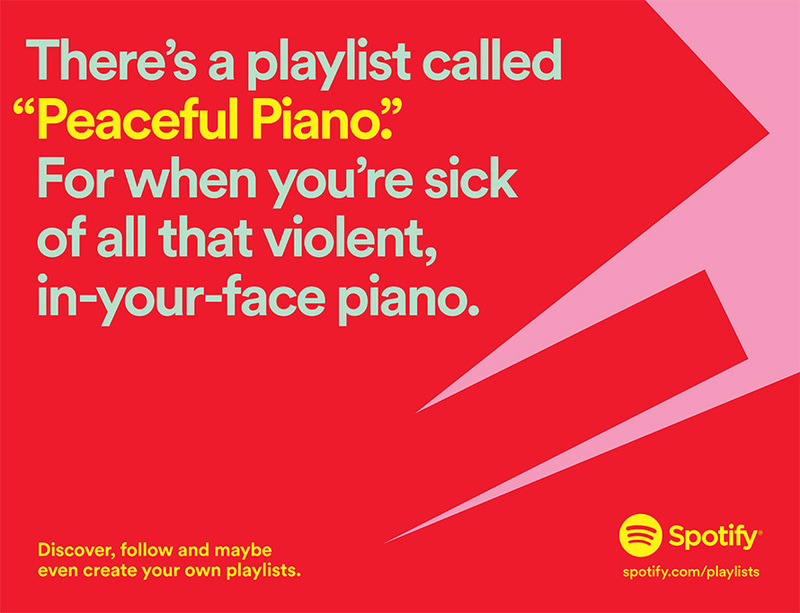 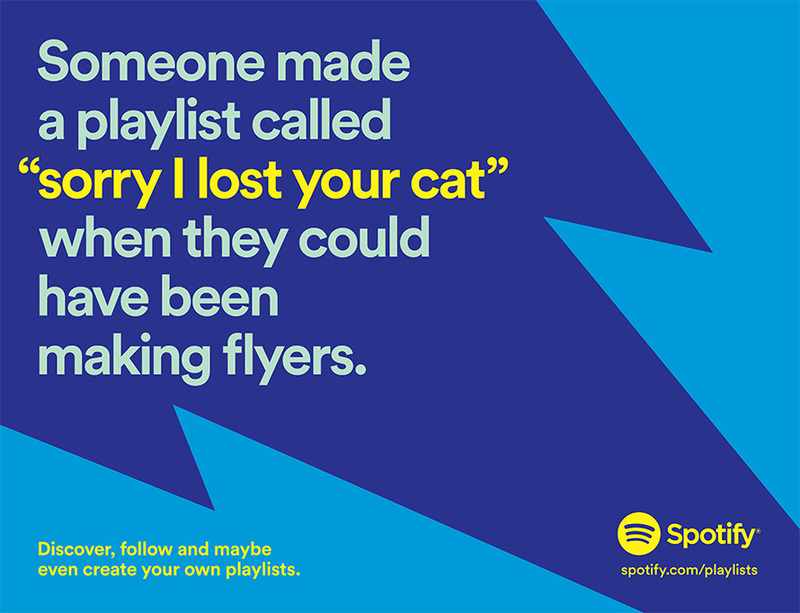 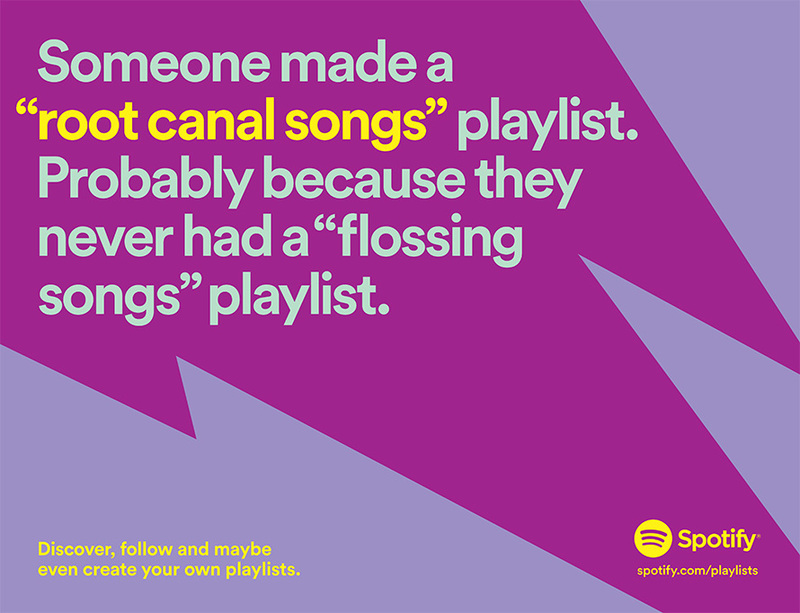 Spotify has taken advantage of all that juicy data it has about user’s listening habits with its latest campaign that digs into all the weird and wonderful playlist names like “sorry I lost your cat”, “I don’t know how to make a playlist” and “global warming is real…let’s dance”. 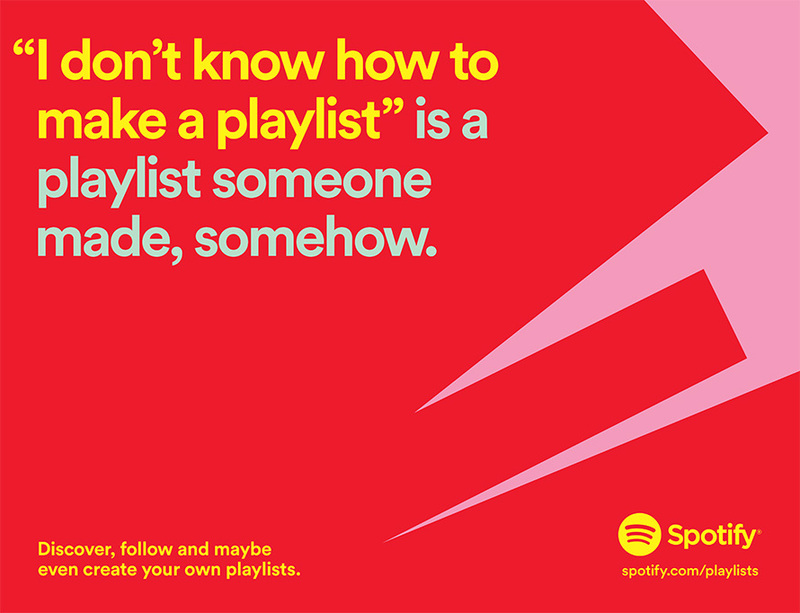 This campaign follows Spotify teaming up with weather forecasting provider AccuWeather to launch a new tool that generates music playlists based on the moods of weather patterns in different locations. 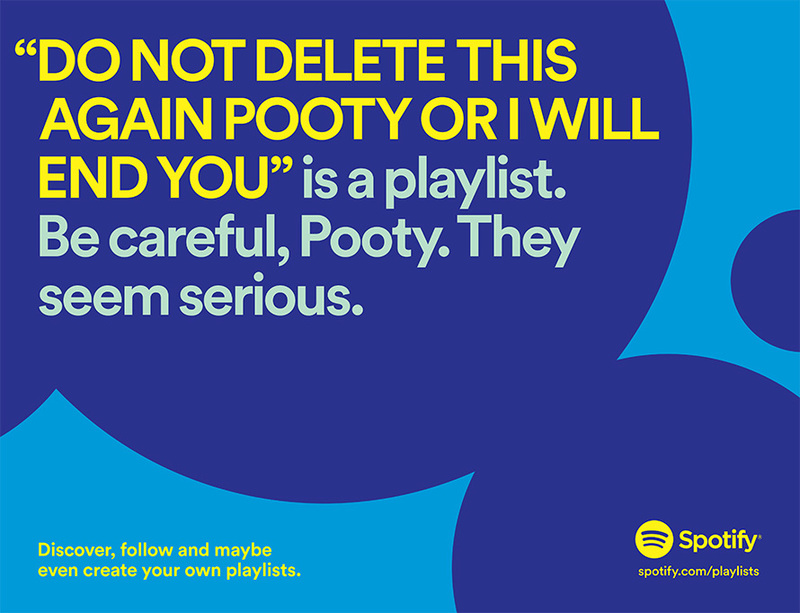 Unfortunately my favourite weird playlist, “Songs that drunk white girls excited”, didn’t make the cut.